Shinning a light on the everyday struggles that go hand in hand with being old, from not being able to board a bus to failing at simple household chores, was the aim of a day-long conference at the DoubleTree Resort on Wednesday, September 3. Roughly 180 service providers, government officials, and philanthropists set their own admittedly less problematic routines aside to attend the event, which included two hour-long brainstorming sessions. “It seems that over the years, so many resources have gone into other things and seniors have been sort of out of sight and out of mind,” said 1st District Supervisor Salud Carbajal, an event organizer. But with the baby boomers hurtling toward retirement, keeping seniors out of mind may not be a luxury the county, or any governmental entity, can afford much longer. In fact, with people over 85 now the fastest growing segment of the population, by mid century, they are set to outnumber teenagers. May Aydin of UCLA’s Center for Health Policy Research provided statistics comparing Santa Barbara seniors to seniors in the rest of the state. On matters of economic, physical, and mental health, people over 65 here fare better than California seniors as a whole, with one in five living at or below 200 percent of poverty level, compared to one in three statewide. Just nine percent of seniors here reported having bouts of mental distress in a survey that did not, however, include seniors in assisted living or skilled nursing facilities. On the other hand, half of the over-65 population here is overweight or obese, half take medication for depression, and more seniors here reported having multiple falls in 2004 than in the state as a whole. 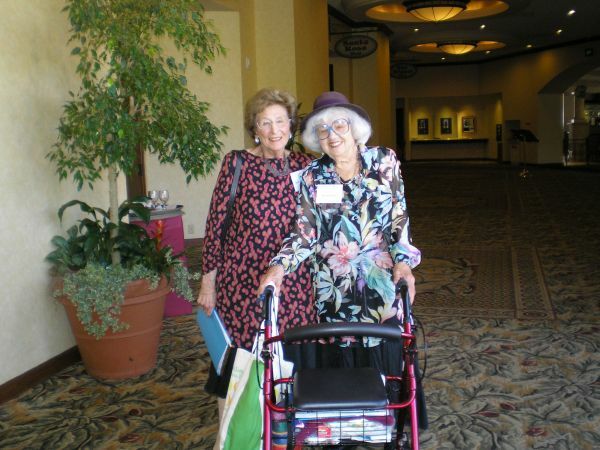 Sponsors of the event included the Central Coast American Association of Retired People (AARP), the Gildea Foundation, which has as its mission helping low-income seniors and the environment, the Area Agency on Aging, the City of Santa Barbara, and a number of philanthropic organizations. Santa Barbara Channel Video produced a 10-minute documentary of Santa Barbara seniors discussing their lives. “We know we’re not going to solve all the needs of seniors in any one day. But we hope [this] will be a catalyst for moving forward,” said Schwartz, who is herself 74 but says she is learning a lot about seniors in this process.